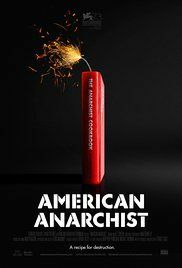 American Anarchist is a 2016 American documentary film written and directed by Charlie Siskel. It premiered out of competition at the 73rd edition of the Venice Film Festival. It deals with the story of the 1971 book The Anarchist Cookbook and of its author, William Powell. Read more on Wikipedia.